KW is coilovers producer and most popular product on the line is KW variant coilovers. 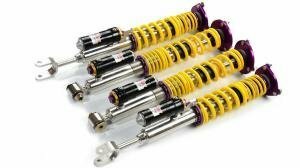 KW coilover kits are a gentlemans choice for all-year street and track. Stainless steel Inox-line kits are corrosion resistant and suitable for around the year use.